Here is a list of our happy clients whom we’ve worked with over the years. 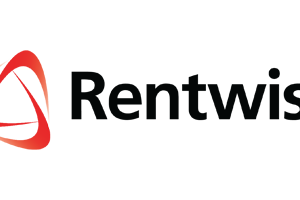 Find out more about what they have to say about their experiences with Rentwise’s IT Rental Model and how it has hugely benefited their business operations. A novel approach of renting for HICOM Diecastings’ IT department makes perfect business sense as it not only takes the headache out of the equation, but also generates cash needed for the fulfilment of customers’ orders, thus having a positive impact on the bottom line and morale of staff. A proud adopter of Rentwise’s IT Rental Model, Rosdan explains how the IT Department has become a financier of HICOM Diecastings’ production line. For most companies, computers are crucial. They are key enablers to conduct business and failing computers would result in a substantial loss of customer confidence and revenues. Two of Warisan TC Holding’s subsidiaries, Mayflower and TCIM have embarked on new ways of going about their business, following a new but already proven mantra of “renting what depreciates is better than owning what depreciates”. Alvin Lee gives us the lowdown on the positive mechanics of Rentwise’s IT Rental Model. The British Malaysian Chamber of Commerce, typically referred to as BMCC, is a business like any other SME. The team is small and people need to be able to multitask. Computer issues can impact dealings with its several hundred corporate member companies and the work with government agencies. BMCC reveals how they have benefited from Rentwise’s IT Rental Model. The PC rental service is one of the top priorities of CTRM’s IT operations, as it helps lower operational costs and maximise available resources to focus on the company’s core business functions which in return improves ROI. En. Safiudin, Group MIS Head of Composite Technology Research Malaysia (CTRM) shares how having the right IT infrastructure supported by Rentwise’s excellent IT Rental Model has allowed his company to stay right on track with their business goals. IT infrastructure plays a significant role in any Food & Beverage (F & B) outlet’s day-to-day operations. From taking and tracking of orders to managing the billing system, F&B operators cannot afford to experience operational downtime. For one F&B operator, Revenue Valley, renting their IT infrastructure from Rentwise has proven fruitful in various ways. Christopher Lee, IT Manager of Revenue Valley shares how the company’s F&B outlets benefited from Rentwise’s IT Rental Solution in their daily operations. A business focused on selling cars will need to stay on its toes in every respect to stay competitive. Every department, every function must work together like cogs in a well-oiled machine to avoid wastage, optimizing performance and profit. This is the testimony of Muhammad Faiq Bin Na’Aman, an IT executive at Honda Global Amity, a leading authorized Honda dealer providing sales, services and spare parts for Honda cars.